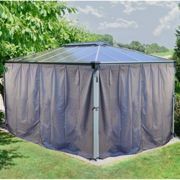 Informations about "palram martinique 4300 garden gazebo"
Having searched the market for the cheapest prices of sale, 5 bids were found for comparison. Furthermore, a large number of offers in 45 relevant categories with a price range from £190.00 to £1,356.00 were found. 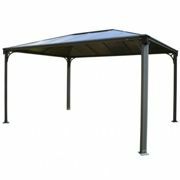 About "palram martinique 4300 garden gazebo"
Overall, our search showed 4 different online stores for your product "palram martinique 4300 garden gazebo", including Gardenchic.co.uk, Wickes.co.uk, Keengardener.co.uk and manomano.co.uk. After having chosen your companies you may also choose the delivery company. 2 delivery brands are available Palram and Wickes being the most popular.